Brenda has over 30 years of law firm management experience handling the day-to-day operations of very small, to the oversight of the administration of very large law firms. She has a unique perspective on running a legal practice – she understands how to run your company like a business. Brenda earned her Bachelor of Arts degree in Accounting from the University of Texas and has her Certified Public Accountant designation. She also has her Masters of Business Administration with emphasis in Management. Prior to opening up B2 Legal Management in 2008, Brenda was the firm administrator for Hilgers & Watkins, P.C. Brenda is the past President of Austin-Central Texas Chapter of the Association of Legal Administrators (ALA) and past chairman of the Education Committee. Brenda focuses on implementation of new office set-ups and oversees a staff of accountants who handle the day-to-day accounting & billing functions for numerous B2 clients. Brenda also assists clients with developing business plans as well as financial & profitability analysis. 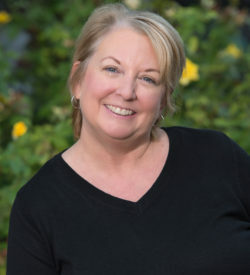 With over 30 years of bookkeeping and accounting experience, Teri has always sought growth and new challenges in her career, starting with striking out to Texas shortly after receiving her Bachelor’s in Finance from the University of Illinois. Since then, she has gained extensive bookkeeping and accounting experience in the legal, corporate, and oil and gas industries. She brings a strong attention to detail, excellent organization and management skills, and a “can do” Texas work ethic to each of her clients, adding value to their firms. She has extensive experience with accounting software specialized for each of her client’s specific requirements. Teri enjoys living the Texas Hill Country life on the weekends with her husband, after having recently moved from her only other Texas home in Houston. With over 30 years in the legal industry – both as an employee and employer – Holly offers a broad range of experience in Human Resources and business management. She received her BA from the University of Texas and her Paralegal Certificate from Texas State University before embarking on a Paralegal career that spanned 10 years. Working as a Trial Litigation Paralegal for McGinnis Lochridge & Kilgore and as a Transactional Paralegal for 3M’s Office of General Counsel, Holly gained extensive operations experience and a keen understanding of how best to achieve the goals of her clients. In 1994, she established The Paralegal Source – and for 7 years, grew the company into one of Austin’s premiere legal staffing firms. Acquired by Prescott Legal Search in 2000, the company transitioned to Special Counsel, Inc. in 2008 – the largest legal staffing company in the country. Holly was able to offer thousands of legal professionals market insight and assistance with their employment searches while serving the needs of her clients with HR matters and project management. Holly served as Executive Director of the Austin office until February of 2015 when she joined B2 Management as their Business Development Director. Holly specializes in identifying client strengths and areas of growth to assist clients with maximizing their resources and achieving revenue goals through effective management of their business operations. In addition to UT sports and travel, Holly’s passions include non-profit work. 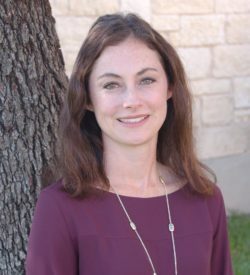 She currently serves on the board of the Greater Round Rock Community Foundation, the Seton Williamson Women’s Development Board, and the Capital Idea Williamson County Taskforce Committee. 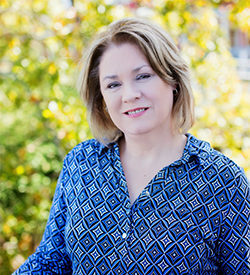 An accountant with over 30 years of business and legal management experience, Debra Cotter has a diverse knowledge of working with businesses both large and small. A former business owner herself, she knows the critical importance of having accurate books and a good management team. As the Client Experience Manager at B2, Debra enjoys meeting with clients and learning about their business. Understanding their policies and procedures is instrumental in helping them achieve their goals. It is Debra’s goal to not only make sure the client’s experience is pleasant, positive and informative, but also that B2 can add value to the relationship. Managing the books and putting together a system that provides accounting information that is both practical and useful is just part of what Debra can offer to our clients. Debra is a native Michigander, who moved to Texas with her family in 2006. She loves the Texas weather and does not miss the snow! In her spare time Debra loves to read and spend time with her husband at museums and old missions. While serving on a missionary board in Michigan, her family made several trips to Mexico to work in an orphanage. In 1995, she and her husband adopted 3 children from the orphanage, making their family a total of 5 children. She now has 6 grandchildren and loves to spend as much time as possible with them. With over 25 years in Human Resources and firm management, Julie Ellison is the consummate professional when overseeing HR needs of our clients. Her extensive experience allows her to provide effective assistance to start-ups as well as large established companies. A Firm Administrator for a large Austin law firm, an HR Director for a startup company and the Manager of Human Resources for Sysco Food Services (200+ employees), Julie has a diverse understanding of every work environment large or small and the fundamental groundwork that must be in place for any business entity to have a healthy framework for their employees. Accordingly, she understands the direct correlation between a thriving staff and a thriving company. From day to day operations and regulatory compliance to benefits enrollment and staff training, Julie has the solution to our clients’ needs. 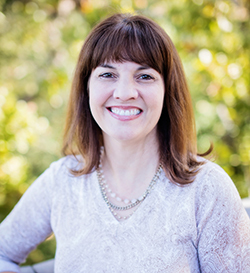 Julie is a member of the Austin Human Resource Management Association (AHRMA). 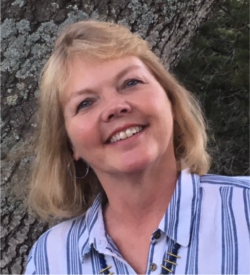 She was an Education major at the University of Texas at Austin and has attended numerous HR and administrative related courses over the past 25 years and even developed content for those courses. A passionate volunteer for Heart of Texas Lab Rescue and Mobile Loaves & Fishes in her free time, Julie also enjoys traveling and just hanging out with her two Labs and French Bulldog. Kim is a seasoned veteran with over 30 years of accounting experience for both law firms and corporations, large and small. Her extensive skill set has allowed her to provide her clients with a level of expertise that has been instrumental in their business growth and success. Process driven and goal oriented, Kim does a great job of not only managing client back office needs, but also identifying where process and procedure can be improved. She is adept at Tabs3 as well as many other types of time and billing software. 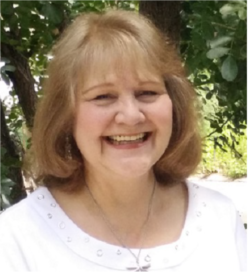 A native Texan, Kim enjoys music, art, history, drama, reading, travel, and spending time with her husband and two sons. Angie comes to B2 with a very versatile business background ranging from management of operations and client development to finance and accounting. She has a Master’s Degree in Business Administration and has gained an abundant amount of knowledge and developed a key business skill set having worked within several industries. With 12+ years of business and finance experience, she has recently transitioned into a full-time property management accountant and office support manager with B2. Goal oriented and driven by client satisfaction, Angie is adept at problem solving and overcoming obstacles. During her off time, Angie is a mommy of one, a military spouse, and a health and fitness enthusiast. In the 30 years Mike served as the Law Firm Administrator of Naman Howell Smith & Lee, the firm grew from one location to four and over 70 attorneys. That kind of growth and expansion afforded Mike a wealth of knowledge and experience that came from tackling just about every kind of issue that can arise for a law firm. B2 is now fortunate to have Mike bring that knowledge and experience to our clients providing them with a unique perspective of law firm success and how to achieve it. After receiving his Bachelor of Business Administration and Master of Economics degrees from Baylor University, Mike started his career with Arthur Andersen. 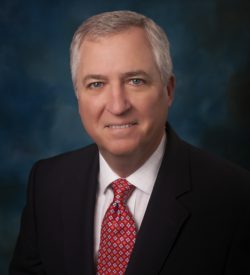 His sharp business acumen also led him to serve as the President of the TSTC Corporate College (Texas State Technical College) and the Executive Director of the TSTC Foundation. Mike also served on the Waco City Council, and currently is an Executive Committee member of the Texas Sports Hall of Fame. He is also a past President of Austin-Central Texas Chapter of the Association of Legal Administrators (ALA). There are many issues facing firms of all sizes in today’s economic environment. Mike concentrates on foundational issues such as succession and strategic planning, leadership transition, and compensation plans. Mike and his wife Ann have been married for over 40 years and after rearing three sons, now have three granddaughters. Payback is great! 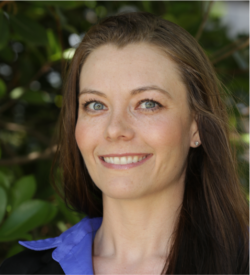 For over 20 years, Jessica has built solid experience in working with a wide variety of clients. Working within many different industries has provided her with a valuable skill set that has allowed her to manage any client’s back-office operations effectively and efficiently. Putting the clients’ needs first has always been her approach. 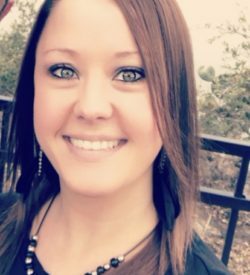 With a professional and friendly attitude, Jessica makes the bookkeeping process understandable to clients and has proven to be instrumental in helping them grow their business. She has extensive experience with a variety of accounting and client management software and is a certified QuickBooks Online advisor. 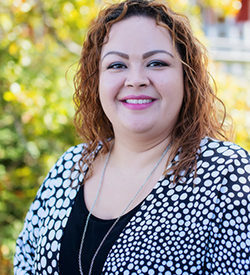 Outside of work, Jessica enjoys spending time with her husband, 3 sons and working on crafting projects. 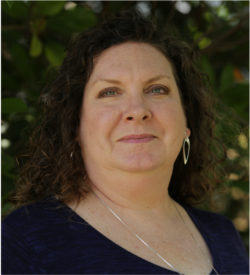 After working many years for the State of Texas, Stephanie joined B2 Management & Consulting offering vast experience in administrative processes specializing in records and information management. A graduate of Huston-Tillotson University, Stephanie holds a Bachelor’s degree in Business Administration. As the Office Administrative Assistant, she takes charge of the day-to-day office operations and serves as an Accounting Clerk and Special Projects Manager. Whether handling payroll processing or account reconciliations, Stephanie brings a strong attention to detail and a solid understanding of our clients’ needs. Stephanie is a wife, a mother of two adult sons, a grandmother to four amazing grandchildren and a pet parent of two dogs and a cat. She enjoys camping, watching movies, cheering on the UT Longhorns and the Dallas Cowboys, playing with her pets, and visiting with family. Bookkeeping has always been a passion of Michelle Lou ’s and she genuinely loves what she does for a living! She considers her journey to B2 as exciting and educational and strives to maintain an attitude of adaptability and flexibility in order to provide the highest standards of customer service for her clients. Graduating from The University of Texas in Dallas with a Bachelor’s in Business Administration in Accounting, Michelle moved to Austin in 2011 and began establishing her bookkeeping/accounting experience with a CPA firm prior to joining B2 Management & Consulting, LLC. In 2017. 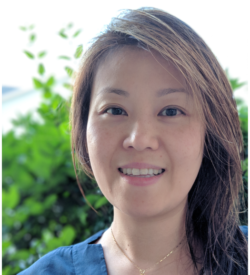 She enjoys working with her clients to consistently produce accurate financial reports and excels in customer service, spending whatever time is necessary to meet client deadlines. From Michelle’s perspective, clients are not customers…they are her business partners. When not working with numbers, Michelle enjoys exercising the creative side of her brain with cooking as well as hiking and exploring Austin. 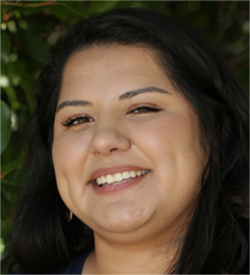 A recent graduate of Texas State University with a BBA in Accounting, Cheyenne came to us in 2017 and has proven herself to be a solid accountant with a knack for problem solving and analysis. Seemingly born with an incredibly strong work ethic, Cheyenne has excelled at every task put before her and her clients benefit from her dedication and commitment to taking care of their needs with the highest standards of professionalism and integrity. She is proficient in QuickBooks Online and Excel and has the tech savviness to learn the latest software and technology tools with ease. Making her clients more efficient with improved processes and procedures are just one of the many ways she takes care of them. A native Texas and a total foodie, Cheyenne loves all things Texas (minus the heat and humidity) and loves exploring the different culinary scenes Central Texas has to offer when not busy with DIY projects. A native of Louisiana with central Texas roots, Connie Parsons started with B2 as a principal in 2009. Connie left B2 in 2012 to pursue other projects, but came back in 2015 taking on the Operations Director role. As a strategic and innovative business partner, Connie’s focus is on shaping B2’s business mission and objectives through project management, providing big-picture oversight of financial management, regulatory compliance, risk management, information technology, and security and safety — analysis and translation of business needs, forecasting talent and asset acquisition, and addressing gaps often in uncharted territory. 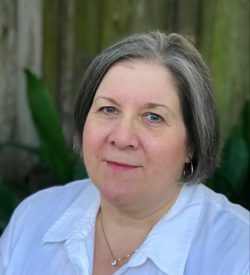 Connie earned a BS in Management from Louisiana State University and a MBA in Finance from Dallas Baptist University, and holds the Certified Compensation Professional Certification (CCP). 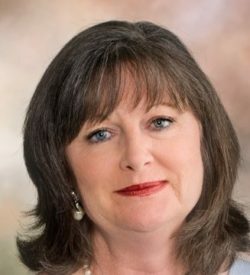 Connie has worked in healthcare, oil and gas, public transportation, real estate services, public education, and management consulting; and has served on the Board of Directors with the Austin chapter of the Society of Human Resources Management (AHRMA) as Treasurer and the Central Texas Compensation and Benefits Association (CTCBA) as VP of Finance and VP of Programs. When not at the B2 office, Connie enjoys watching high school, college, and professional football with her favorites being Austin High, LSU and Texas A&M, and the Dallas Cowboys. Connie is an active PTA member, football and cheer booster club member at Austin High. She has three children, Alisen, Davis and Karyn who keep her on her toes! With over 15 years of law firm management experience, Karen brings a wealth of experience and knowledge to our law firm clients. 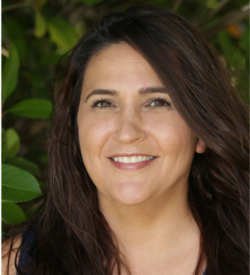 A certified QuickBooks Online advisor, Karen is adept at managing the intricacies of law firm billing and accounting. She is also a technical writer specializing in Help Desk and Process documentation. An energetic self-starter with strong analytical and organizational skills, she is a true asset to our team and our clients benefit greatly from her innovative problem solving and extensive experience in law firm administration. In her spare time, Karen is a beekeeper and enjoys the outdoors. Her other passions include archaeology, sports and travel. Rita has 15 years’ experience working in the legal industry and has spent the majority of that time in the administrative and accounting departments. She has successfully managed law firms and uses the knowledge gained there along with her analytical and problem solving skills to help with onboarding new clients and working to ensure their bookkeeping is clean and accurate. 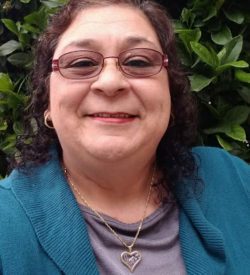 With the abundance of accounting and client management software available to Clients, Rita takes satisfaction in being proficient and enjoys continuing to improve on her knowledge base in order to be better able to assist clients in their accounting needs. In her spare time, Rita loves spending time with family and extended love ones. With such a huge circle, there is always a reason to get together and enjoy each other’s company, whether it’s just a bar-b-que, supporting family children in their extra-curricular activities, camping, or vacation trips out of town. With a strong corporate accounting background, Stephanie joined the B2 family in 2018 to help with the company’s growth. She has solid experience working in multiple industries in both the front and back office making her very versatile and knowledgeable in different types of business. From non-profits to busy startup companies, Stephanie enjoys putting her analytical and problem solving skills to good use to make her clients as efficient as they can be as they work to achieve their revenue goals. Taking care of her clients’ daily needs while working to identify areas for improvement in policy and procedure is her daily goal. The end result is a great partnership. Outside of work, Stephanie enjoys exercising and loves taking her French Bulldogs everywhere she can while exploring all Austin has to offer.